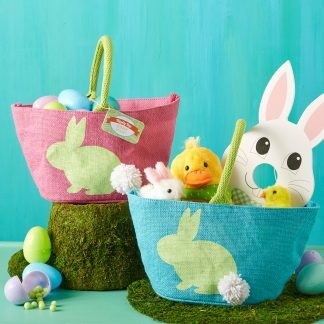 A unique way to decorate your home for Easter this year. 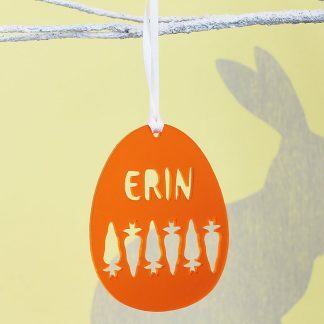 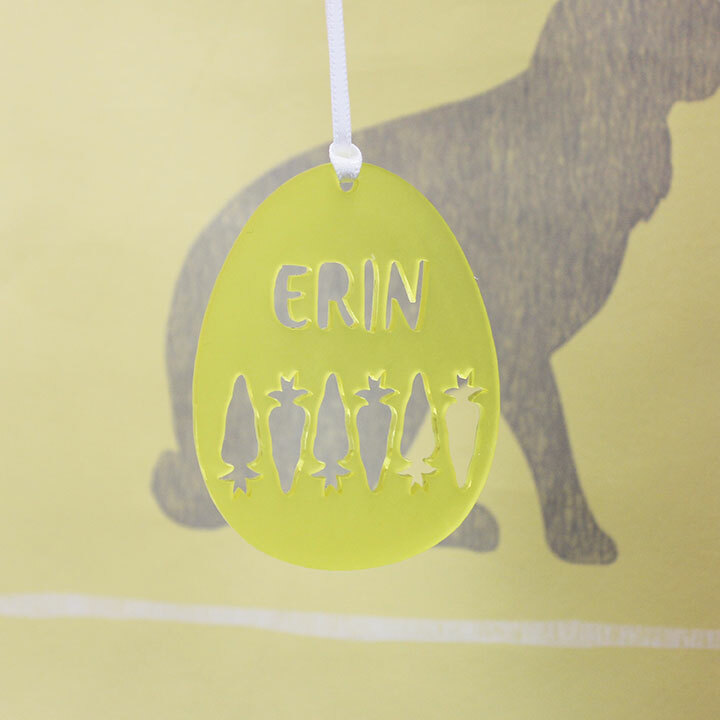 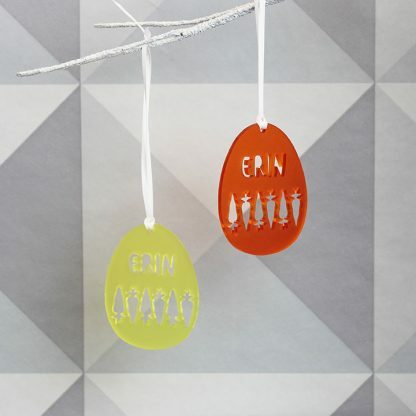 An egg shaped hanging decoration with a repeat Carrot cutout design with your chosen name added. 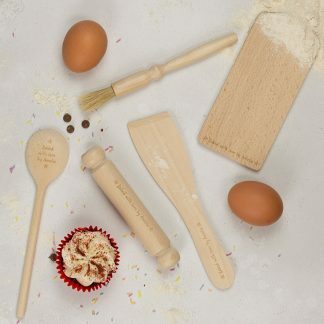 Use as a decoration or as a personalised gift tag this season. 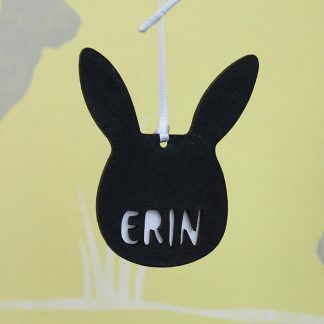 With a small loop of thin white satin ribbon to enable you to hang it. Choose from orange or lemon. 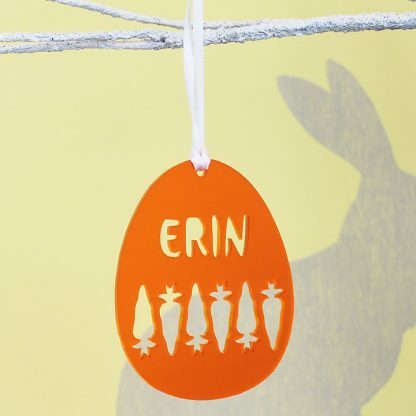 Please note that the longer your chosen name the smaller it will appear.